We love to use these at home and as a literacy center in the classroom. These cut and paste CVC quilts are an excellent way to get kids comfortable sounding out, blending and fluently reading CVC words! There are three different quilts for each vowel for a total of 15 quilts! Try a quilt for free! Want more practice with all five vowels? Unit 4 in my Kindergarten Phonics Series is completely dedicated to CVC words and word families. 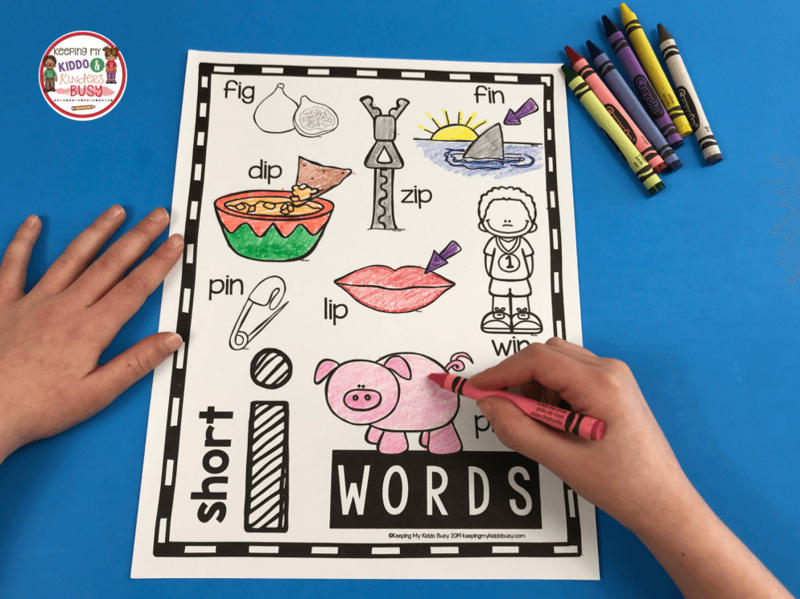 It comes complete with anchor charts, worksheets, cut and paste activities, literacy centers, short stories with comprehension questions and MORE! I use these as a literacy center, but they can also be done whole group or even for fast finishers. 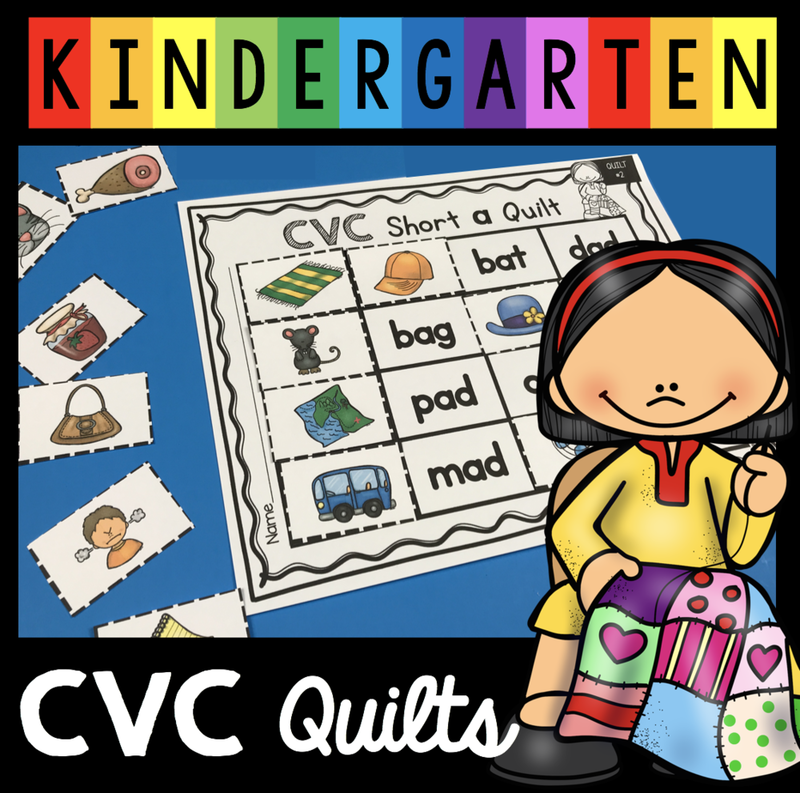 My CVC BUNDLE has my CVC quilts, word family booklets PLUS CVC Write the Room and cut/paste build a CVC word. 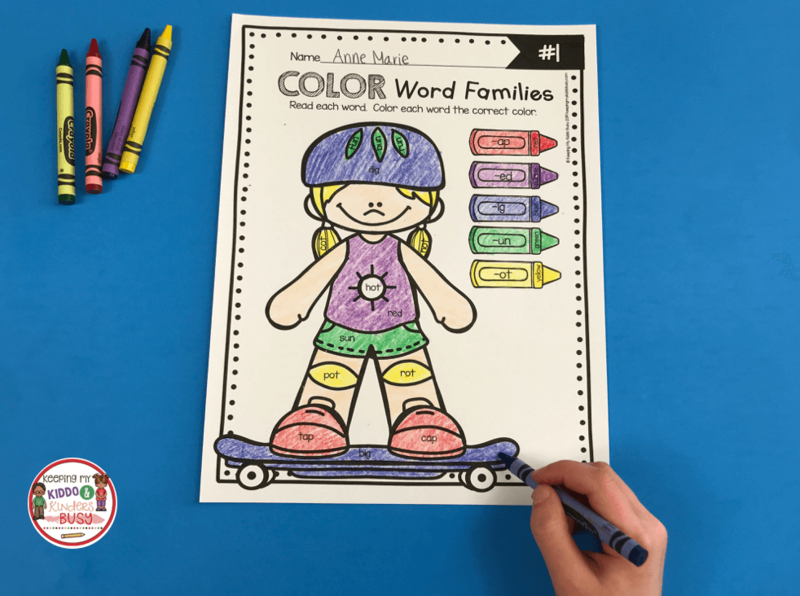 FIVE activities for one discounted price! 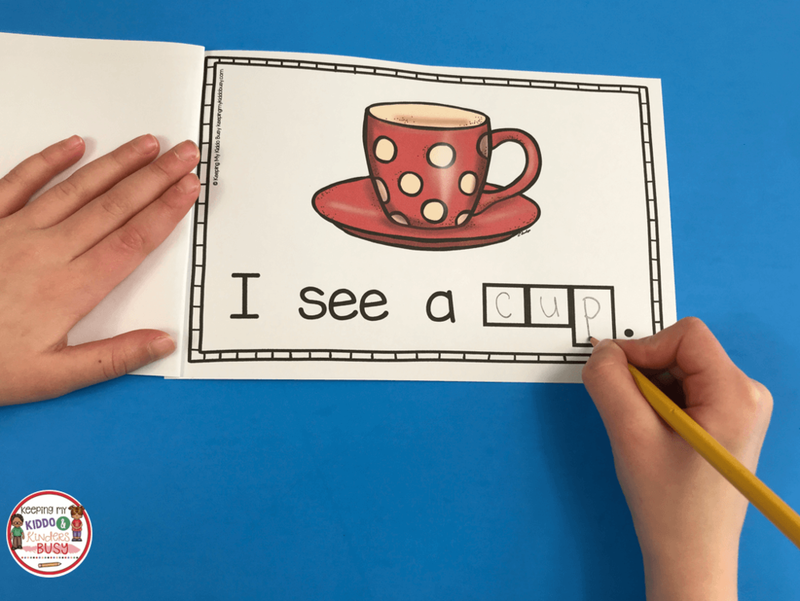 Your kiddos will be fluently reading and writing CVC words in no time! Need more practice with phonics and CVC words?! 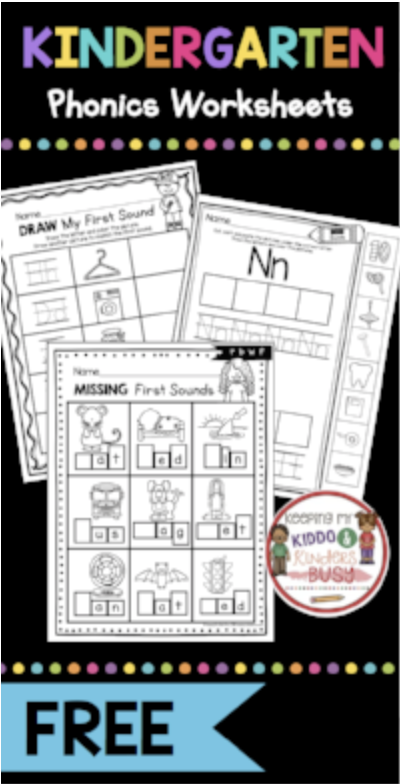 to grab these FREEBIES and check out how I teach first, middle and last sounds in CVC words. Want more kindergarten FREEBIES?! Sign up below for access to our Exclusive Freebie Library!